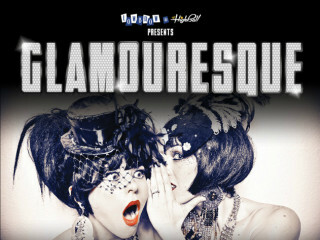 Lowbrow at The Highball presents GLAMOURESQUE! GLAMOURESQUE! is a supremely sparkly, sexily sequined, wild-style Burlesque show brought to you by Lowbrow at The Highball. Featuring some of Austin's biggest cabaret stars, this special showcase gives you a taste of everything fringe-tinged, feathery, flamboyant and fabulous! Entertainers for the evening include Roxie Moxie and Sassy Delure as well as guest stars Ruby Joule and Lola LeStrange, Zaftigg Von BonBon, Sailor Cherry, Kierstin JohnSin and Starlite.